The giveaway week continues as we continue to march towards the end of the Story Realms Kickstarter. Today we are taking a break from discussing more traditional types of game to talk about some of the fun, creative games we've created with our kids and our families. We love playing games with our kids. 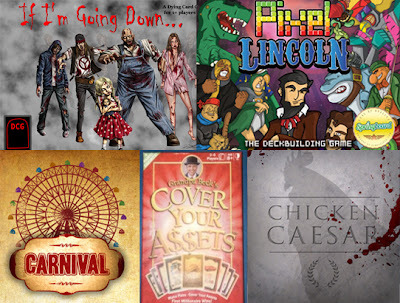 Board games, card games, storytelling games, you name it and we like to play it. However, some of the best games you can enjoy with your family are the ones that happen spontaneously. For while there many fantastic games out there, some of the best games just take a little imagination and willingness to play along. This is a game I made up one day to make a particular trip to the grocery store more fun for my daughter. She liked it so much that she insists on playing nearly every time we go now. We, of course, are the superheroes out to capture evil villains. We have a list of which ones are causing trouble. For example, just today we had to capture Count Corn Chips, the Black Bean, and the evil Doctor Cheddar. We investigate the area, capture the villains, and put them into the containment unit (grocery cart). Once we’ve got them all rounded up, we have to take them to the facility where they will be incapacitated with a laser (the checkout stand) and then pay a small fee for the service. Once they are good and knocked out, we drag them back to headquarters (home). Most of the time we are shopping, you wouldn’t know we are playing. It’s just us walking around a grocery store looking for the items and talking about it in a slightly different way. 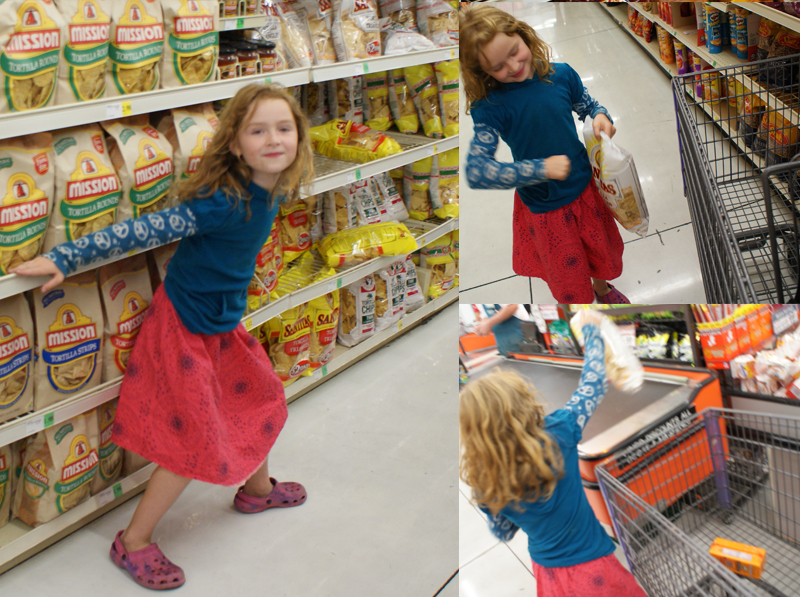 Sometimes, however, we ham it up a bit more and get few strange looks from our fellow citizens as we stalk through grocery aisle, grab a bag of chips and the then defeat it with a (very light) super hero punch. Originally, I was just trying to provide some entertainment for my daughter while we did a family errand. It turns out, I ended up having more fun too. Red Light, Green Light...Purple Light, Blue Light? Some of the best spontaneous games can come from looking at something familiar in a new way, or adding a fun twist to any activity. While on an afterschool walk last week my kids were excited to play the well-known game of "Red-Light, Green-Light" together, but after a few blocks Katie stopped and said "This game needs an expansion, lets power up!". Jack jumped right on board with "Oh, how 'bout Purple light means super boost speed?!" and they were off. We quickly added in Blue lights (walk backwards), Orange lights (rush back to Mom), and a whole host of ever-changing rainbow colored commands that had us laughing, skipping, and running all over the neighborhood. In just a week, this new and improved "rainbow" lights game has become a regular source of enjoyment for us, and something for everyone to look forward to. (I even find myself thinking up new ways to move and searching my brain for more obscure colors to use throughout the day!) Having a playful attitude with your kids, and being willing to jump right in and experience the joys of childhood can be a real rush! Children are naturally inclined to turn even mundane activities such as walking down the street into elaborate on-the-spot games, and taking the cues from them can create lasting memories and fun experiences, while letting the kids know you are paying attention and ready to "game". Kids love to play pretend and sometimes it can be a lot of fun to let them fully take the helm and lead you through a crazy adventure. Lately, Sabine has been really enjoying a show called Cyberchase. She watches the show online and also plays the games associated with it. She likes it so much that she wants to go on her own adventures through the world depicted in the show. She makes her own maps, comes up with the problem that needs to be solved, and gives me a choice of which characters I want to be. Last time I had the choice of being one of three fairies (one from the show and two she made up) or a Poddle (apparently a little creature that’s a triangle, square or circle and has a house of the same shape. ...I’m not that familiar with the actual show so I’m going off her descriptions). We’ve journeyed to the Northern Frontier, Penguia, and the Sensible Flats. Our next trip is to Ecohaven, apparently. We gather parts and have to put them together to save the day. Playing pretend this way turns the passive experience of watching a show into something much more imaginative and active. Kids will, of course, do this on their own or with their friends. However, letting my kid take me along for the ride I get to see how her mind is creating stories from the things she sees and she gets the joy of feeling like she’s showing her Dad just how cool a hero she can be. If your child doesn’t leap automatically towards exploring their imagination this way, you can prompt them by asking some questions about what they would do if they were in the world of their favorite story or show. What do you get when you mix a whole giant tub of Heroscape figures and terrain with an army of Skylanders?? A super fun way to spend the day! 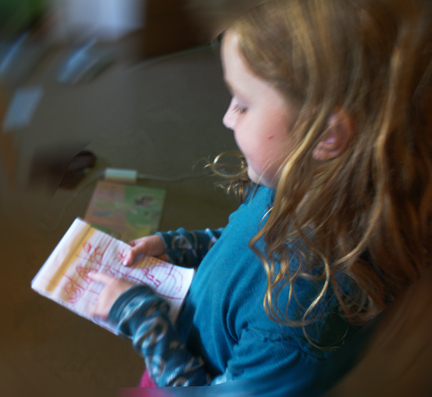 My kids love playing games, and are very eager to explore game boxes and learn the rules. However, sometimes we have the most fun when we throw all the rules aside and just play with the games and each other. A current favorite is building elaborate battlefields using Heroscape terrain and figures, and then bring in the Skylanders! Each Skylander figure (my kids have collected EVERY one of them) is a different unique character in the video game Skylanders, and they all have fun personalities, signature moves, and catch phrases that make them really stand out. Instead of worrying about building point-cost armies and checking stats, my kids and I love to lay down on the floor and just let our imaginations take over. Terrafin and his baby land sharks can crush even the toughest dragon, and Ghost Roaster's spirit form helps him sneak into the castle undetected. I love seeing how my kids take the abilities and elements of the game and use those to fuel their own narratives and stories. Not all game playing has to be about following rules and structure, and even though I love the depth and strategy in a good game I find it very satisfying to engage with my kids in meaningful play using game pieces and worlds as an amazing backdrop for pretend play. I expect we'll have years to explore the complexity and detailed interactions in a game like Heroscape, but right now I think its important to meet my kids where they are at developmentally and encourage their love of gaming and game worlds through imaginative spontaneous play. Games make some of the best "toy sets" out there, and when they are ready we'll be able to build on these shared experiences and explore these games together on a whole new level. The house is full of monsters and only one can stay. The rest are getting kicked to the curb. Rumble in the House has fun art and very simple mechanics. Each turn you either move a monster or make them fight. If you make them fight, you choose who gets the boot. The goal is to keep your monsters in as long as possible. The catch? No one knows which monsters the others players have. It’s cute, it’s silly, and it doesn’t take long to play. Will you be able to push out your fellow family members while keeping your characters a secret? Goblins Drool, Fairies Rule is a quick-playing card game that is at the same time light and cleverly rich in strategy. The beautiful art will draw you in, but you'll find yourself carefully planning plays to thwart the other players and position yourself to win! Castle Panic is a cooperative fantasy-themed tower defense game that has the players defending their castle from being overrun by hordes of goblins, orcs and trolls. The tension stays high as the hordes literally try to knock down the walls! I have had a lot of fun with this one with my daughter! 5 Fantastic Video Game Hub "Towns"...and a Giveaway. Only 5 days left to go before the end of the Story Realms Kickstarter and our game giveaway is still going strong. Today we are talking about hub towns. In Story Realms, Venture is our hub city for the Pieces of Broken World storyline. It's a huge city of innovation and wonder with lots of places to explore and discover. We really pulled the idea of creating a meaningful hub as a home base for the players from a variety of video game worlds that accomplish that feat well, and although Story Realms is a tabletop game, we think the city of Venture will feel like a rich and vibrant world and an amazing anchor for your adventures in Storm Hollow. In honor of that, we are showing off some the hub towns we've loved from video games. Hub towns are places you keep going back to between quests or between levels. Sometimes they are just simple spaces where you select your next level or maybe buy some equipment. However, the most fantastic hub towns increase your investment in the game by giving you someplace familiar to return to and recurring characters you grow to care about. Not all all hubs are "towns" exactly, as you will see from our list. However, the best ones feel like they have a community or a space that's worth exploring and fun to come back to over and over. They have character and create a sense of immersion and connection that makes for a memorable part of these adventures and stories. 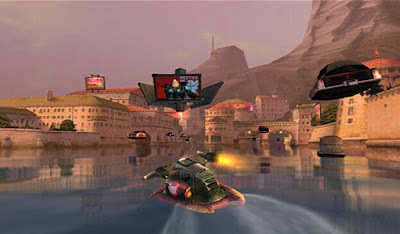 Hillys is the fantastic hub world/city from Beyond Good and Evil. It’s a place filled with several islands and you have to go jetting around on a hover boat to explore it all. Hillys has a lot of personality. Charming anthropomorphic creatures lounge about the Akuda Bar. News reports and danger warnings blast out across the city. However, what makes Hillys so great is that there is a lot to explore and more to see as the game continues. Many of the best levels in the game are side missions discovered throughout the city. There are hover boat races, strange factories to explore, and loot to be found. When it’s all said and done, Hillys really isn’t that huge, but it filled with fun characters, hidden levels, and an endearing quality that makes you motivated to save it from the evil aliens that come to threaten it. That’s one of the magical things about great hub cities, they get you invested in the story by repeatedly making you care about the world and its people. Mario has had a lot of hub towns over the years, but the castle from his first 3D platforming adventure is probably the most memorable. It had a strange and magical ambience to it. It was filled with gallery after gallery of paintings you literally jumped into to enter the game’s levels. What made it the most fun, however, was exploring the castle itself. To find all of the levels you searched around corners, checked nooks and crannies, and had to make your way through entirely different sections of the castle. There were secret slides, hidden stars, and a random bunny that kept showing up for you to chase through the castle corridors. The grand finale was a cannon that shot up to the top of the entire castle where you discovered your dinosaur friend Yoshi hanging out…and you could accidently fall through the roof and glitch out the game. Well, nothing’s perfect. What made Peach’s Castle so memorable was the sense of discovery. 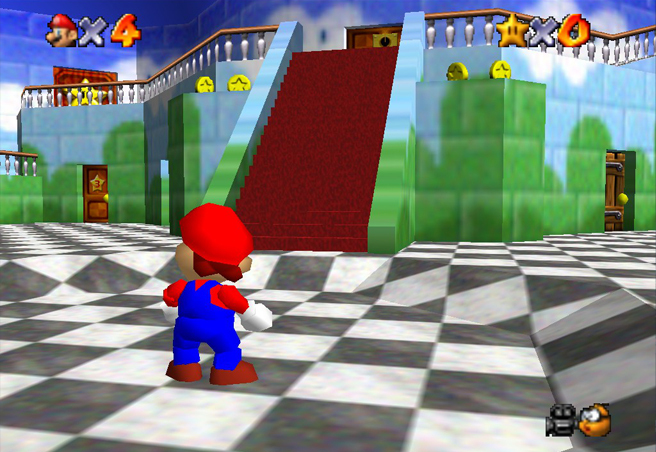 In previous Mario games, you simply went to the next level either automatically or by selecting it off of a map screen. In Peach’s Castle, there were worlds to discover. When a hub world has so many details to discover, it can make the entire game world seem more fun and alive. 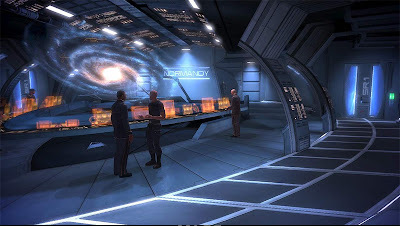 The Normandy was not a city or hub world in the traditional sense. It was your starship. Still, it is the place you went back to time and time again. It was a hub you got to move around through the galaxy. Exploring this hub wasn’t really about exploring the space so much. New parts of your starship don’t unlock and there aren’t that many rooms to discover. Instead, it’s the characters that make the Normandy so fulfilling as a hub. The Normandy was filled with all kinds of folks to talk to and many of them had different things to say depending on where your hub ship was currently parked and where you were in your quests. The Normandy was a hub world you could change and alter not so much by changing the architecture but by changing the people. After every major mission, it was always worth walking around your ship to see what affect the story was having on your crew. This is another great way hubs help out a game. They show the impact of your actions by showing how the results have changed those closest to you. 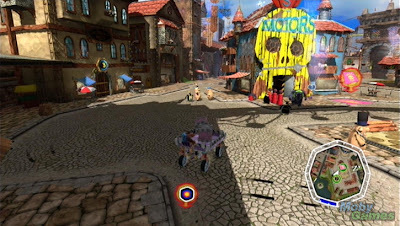 Banjo Kazooie Nuts and Bolts was a game about inventing your own vehicles, building them out of spare parts, and then seeing how they could help you explore the world. The hub city of Showdown Town was a fantastic place to try out your new ideas without the risk of losing a mission and having to start over. This hub city encouraged experimentation and invention. More and more of it became available the further you went into the game, but when it was available wasn’t always obvious. Sometimes you had to build the right crazy contraption and really play around to discover just where you could get. While some of the challenges of Nuts and Bolts could get frustrating, bouncing around Showdown Town was almost always pure fun. Hub towns can really increase your enjoyment of a game by giving you a safe place to play before you go off and face real danger. Massively Multiplayer Online Roleplaying Games (MMORPGs) take the concept of hub worlds to a whole new level. Not only does the hub serve as a home base for you, it’s the hub for the whole community of players on your team/server. 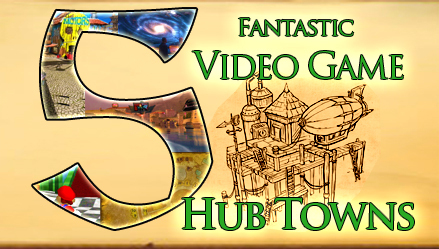 The hub becomes somewhere to meet other players, exchange goods, and often house game elements such as important npc’s, quests, events, trainers, merchants, services. 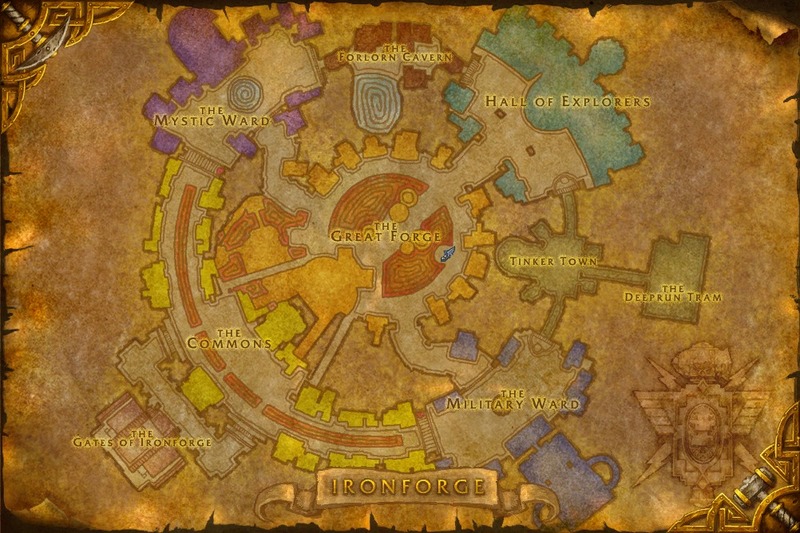 One MMO hub city that stands out as the essence of this concept for many is the city of Ironforge in the game World of Warcraft. For the Alliance gnomes and dwarves, Ironforge is an impressive city with many features that keep you coming back again and again. 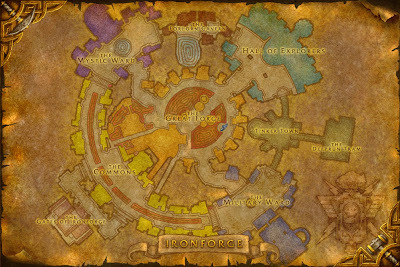 Shaped like a wheel, with a central forge and several themed spokes, Ironforge is a city that is easy to navigate and home to a host of invaluable services. The auction house, bank, great forge, flight path, and tram are all easy to access and frequently full of players chatting, crafting, trading, grouping up to go on adventures, and passing through en route to other parts of the world. The city manages to feel full and vast at the same time, and the thematic undermountain vista is an unforgettable sight that will always feel like home for those of us who have spent countless hours running through it's halls. A hub world can be a place for players to come together and share experiences, as well as provide important options in a game in the form of services. And now....the giveaway continues. To celebrate the final 5 days of our Kickstarter project we're doing these themed posts and hosting a fun giveaway. You can win ton up $150 in Game Salute Store Credit, or some great previous Kickstarter titles with extra bonuses just for reading our Giveaway details post and following the instructions there. But wait, before you go, here's another list of games! 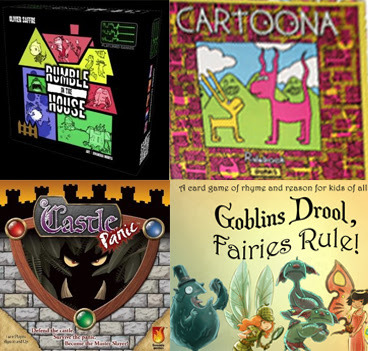 Today’s “shopping” list of what YOU can buy (or preorder) with your Game Salute credit when you win is a little different, we’re going to tell you about some games designed by some of the really great folks we got a chance to meet at Gencon this summer. One of the greatest things about working with a publisher like Game Salute is that there’s a whole bunch of independent design studios all demoing games side-by-side at conventions and it creates a fun community setting for everyone. As first time attendees of Gencon and brand new to the gaming industry as designers, it was really great to have such a welcoming group of people to hang out with, and it was awesome to get a chance to learn about some great new games. If I’m Going Down: If I’m Going Down… is a unique zombie themed game in which you are GOING to die, but the fun is in taking down as many of those brain-munching shamblers as possible with you. Designer A.J. Porfirio has written some great advice and consideration for designers looking to use Kickstarter to fund their games (which helped us immensely in our preparation for the Story Realms campaign), and was someone we really enjoyed meeting in person because he’s such a nice guy and a fellow parent of young kids who could commiserate with missing our babies while at the show! Chicken Caesar(Preorder): In Chicken Caesar you play as an artiscratic ancient Roman chicken family… yeah, I just said that!. Seriously, this game has a well-integrated theme and really solid political gameplay that is sure to amuse and challenge even the most noble roosters! We saw so many packed tables of people having a great time vying for the title of Caesar throughout the show, this game is not to be missed. As an aside, the folks at Nevermore Games are currently running a Kickstarter campaign for Mars Needs Mechanics, another game that looks like an absolute blast! Carnival: In Carnival you are trying to open your midway before your opponents; flying swings, bumper cars, carousels! 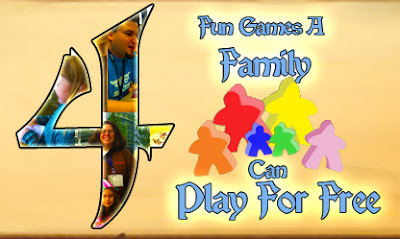 Carnival is Dice Hate Me Games first title, and while the designer Cherilyn Kirkman wasn’t at Gencon, we did get to meet Chris and play a couple games with him. It was a very surreal experience to be sitting across the table a podcaster we’ve been listening to for a long time, but Chris is a really friendly guy who made it easy to just jump in and play. Pixel Lincoln(Preorder): Pixel Lincoln is a sidescrolling deck-building game in which you play as a pixilated version of Americ’as favorite president and battle bad-guys, power-up, and tackle bosses! I made it a point to go introduce myself to designer Jason Tagmire, because Pixel Licoln is one of the recent Kickstarter projects that I got really excited about. I love the merging of two of my favorite hobbies (video and board games) and Pixel Lincoln is a cool cross-over mash-up of awesome! GrandpaBecks Cover Your A$$ets: I had the pleasure of meeting Grandpa Beck and his wife at Gen Con. They were lovely folks that were very pleasant to hang out with. My family is a bunch of card sharks and Cover Your Assets is a game I’m seriously considering getting as a Christmas gift for some of them. The mechanics are pretty simple. You lay down pairs of assets of different values onto your stack. You can steal from other peoples stacks and the goal is to be the first person to a million dollars in assets. It may not have the high fantasy or sci-fi feel I usually love in games, but there’s something charming about it that I really enjoyed. The rules may be simple, but there was a surprising level of strategy and interesting consideration throughout the game. REMEMBER, You have to go to this post to enter! 6 Gatherings of Magic...and a Giveaway!